Clear Base 1/64 Diecast Display Case 6-Pack. Crystal clear, stackable acrylic diecast display case with clear base. Each 6-pack box has 9 different unique cut-out background images, which can be used to make the car look like it's sitting in different environments. The box also includes one checkerboard floor cut-out for the bottom of the case. Made in the USA. 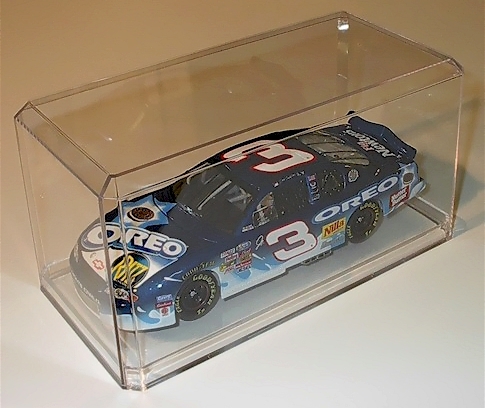 Actual size is 3.5" x 1.75" x 1.8"
Ultra Pro 1/24 Diecast Display Case. High quality, crystal clear, plastic diecast display case. This case has a black base with 45-degrees of banking for a superior presentation. 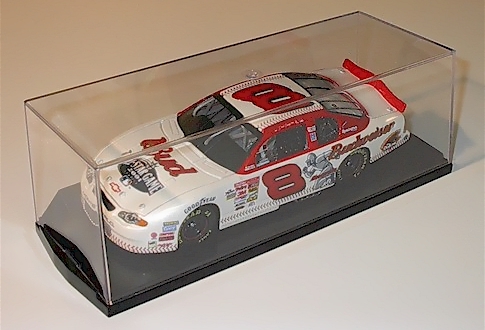 Actual size is 10" x 4" x 3.5"
Clear Base 1/24 Diecast Display Case. 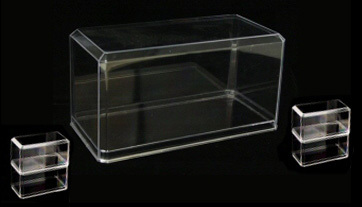 High quality, crystal clear, stackable, acrylic diecast display case with clear base. This case is stackable and interlocking, the top and bottom of each case can be interlocked with another case to keep your display together. 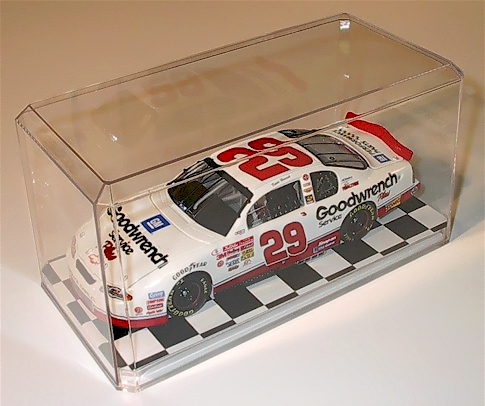 Actual size is 9.5" x 4.75" x 4.75"
Checkered Base 1/24 Diecast Display Case. High quality, crystal clear, stackable, acrylic diecast display case with checkered base. This case is stackable and interlocking, the top and bottom of each case can be interlocked with another case to keep your display together. Actual size is 9.5" x 4.75" x 4.75"